Dr. Alan Spatz is Director of the Pathology Department at the Jewish General Hospital, and Professor of Pathology and Oncology at McGill University. He holds a Canada Research Chair in Molecular Pathology. Dr. Spatz is Co-Chair of the National Cancer Institute of Canada Melanoma Committee. 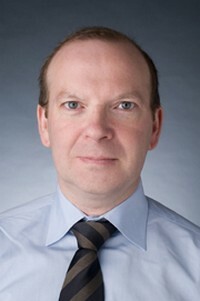 He served as Chair of the EORTC Melanoma group, and as President of the French division of the International Academy of Pathology. He currently serves as a board member of several international professional organizations and on editorial boards and international strategic committees. Dr. Spatz leads an international research group on cutaneous melanoma. His current research involves the X chromosome role in metastatic potential and key factors associated with cancer progression. He has authored more than 150 original scientific papers, reports, review articles, and books.